"Harry Potter" Author Helps Conjure "Wonderbook"
Sony Corp. made some big announcements at the world's biggest video game expo, E3. 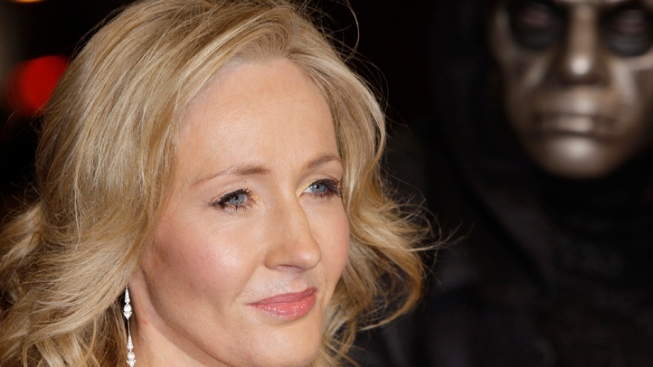 J.K. Rowling is teaming up with Sony Corp. on an innovative new project. Sony Corp. has breathed new life into its handheld Vita and announced a tie-up with author J.K. Rowling that could bring Harry Potter fans into the world of console games. The Japanese console maker indicated Monday it could be years before it comes up with new version of its PlayStation. But at the world's biggest video game expo, E3, it had plenty to keep gamers busy this coming holiday season. Sony unveiled a second-screen function for the Vita that keeps it in step with Nintendo's new tablet-controller-equipped console, Wii U. It also presented a Harry Potter-inspired book game called "Wonderbook: Book of Spells" that turns the Move motion controller into a magic wand. Jack Tretton, the president and CEO of Sony Computer Entertainment America, suggested it may be a few more years before a new PlayStation platform is due. He told a packed Los Angeles Memorial Sports Arena that Sony's six-year-old machine "continues to shatter expectations" and give game makers "the industry's most powerful palate." "Beyond," which Sony showcased to kick off its 75-minute presentation, depicts "Juno" star Ellen Page in much more vivid, authentic animated acting scenes than its predecessor "Heavy Rain," which was also from story-based game studio Quantic Dream. The video-game industry is seeking to reverse a five-month slump in sales dragged down mainly by a lack of new hardware. Sony unveiled plans to bolster the Vita's use with PlayStation 3 consoles by making use of its front and back touch screens and giving different players different perspectives in the same game. New game "PlayStation All-Stars: Battle Royale" allows PS Vita players to fight PlayStation 3 players at the same time. Sony has sold 1.8 million PS Vitas since the handheld was launched four months ago. The use of a second screen with a controller mimics plans by Nintendo Co. Ltd. to sell a tablet-like touchscreen controller with its Wii U. "Wonderbook: Book of Spells" turns its PlayStation Move motion controller into a magic wand and comes with a book of spells. Gamers wave the wand in prescribed patterns and learn how to cast spells that make fire, unlock gates and move through new stories written by Rowling.